We Love Bardstown Road! 5 Spots You Can't Miss in the Unofficial Heart of Louisville | Joe Hayden Real Estate Team - Your Real Estate Experts! Louisville is filled with great local spots to check out, but depending on what neighborhood you're living in, you might miss out on some of the interesting and entertaining destinations on Bardstown Road. Here is some information about some off the best spots in the community that many locals call the unofficial heart of Louisville. The Back Door is a pool hall and restaurant that caters to locals and families, and it’s filled with the kind of charming kitsch you would expect from a community cornerstone. Known as "The Back Burner Grill" because of its relaxed atmosphere, The Back Door is situated in the heart of the Highlands neighborhood of Louisville. 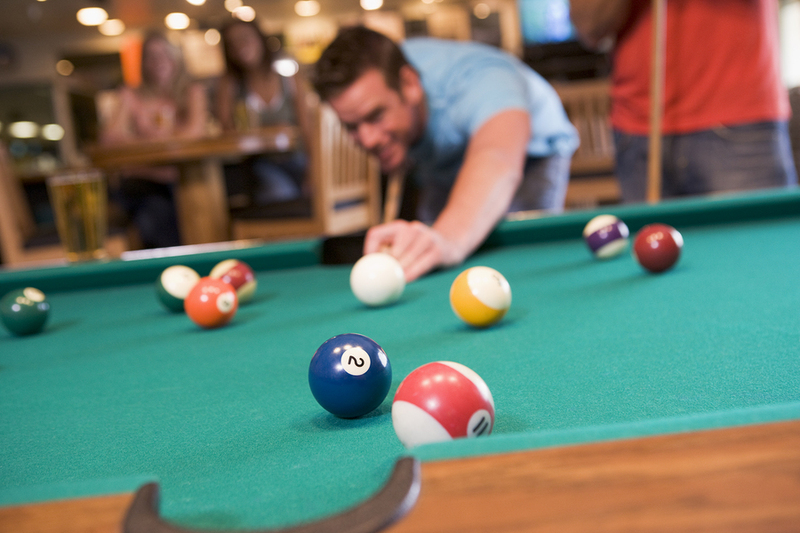 The Back Door features eight pool tables that are located in a separate pool room, so you can enjoy a nice meal with your neighborhood friends or family, or show up with friends for a round of pool and drinks. The Doo Wop shop is one of Bardstown's lesser known gems, helping their community make music since 1971. Offering patrons a vast array of instrument and sound equipment rentals, as well as karaoke system rentals, Doo Wop is an ideal destination for local bands, orchestras, or party hosts looking to offer their guests a fun-filled night of karaoke in the privacy of their own home or rented venue. Acorn Apparel is one of the Highlands area's best vintage stores, and was voted best boutique in Louisville in 2012 for its eclectic mix of Victorian era through 1980s vintage clothing and accessories. Offering customers unique jewelry, 1950s era formal cocktail dresses, fur coats, leather jackets, and one of a kind pairs of shoes of many varieties, Acorn Apparel is a must see on Bardstown Rd., especially for women looking for clothing or an accessory you won't find anywhere else. If you're looking for a good laugh, Bardstown Road's The Laughing Derby is the spot for you, as they serve up five nights of comedy every week, from Wednesday to Sunday. When they're not offering some of the best comedy in the city, the Laughing Derby likes to host special events, such as live music or magic acts, bringing a unique mix of entertainment options to keep locals and tourists alike coming back in for more than just a hearty laugh and drinks with friends. The Great Escape has been buying, selling, and trading new, used, and collectible pop culture ephemera for years. The franchise grew out of their original location in Nashville, where legendary musicians such as Bob Dylan, Johnny Cash, and Elvis Costello have played, and continues to grow in Louisville, though the Bardstown Rd. location is widely known for its collectible comic books and a 10,000-square-foot retail space. The Great Escape is the perfect spot in Louisville for collectors and browsers alike. If you're just visiting Louisville, or you're lucky enough to live in the Bardstown Road area, be sure to keep these Louisville destinations in mind! To learn about other things to do in the area, please visit our Louisville Real Estate website.